The QA SpringBack Gold is a 40dB impact noise reduction carpet underlay, designed for durability and compression recovery, for long lasting support. QA Springback Gold is a 10mm ultra thick PE foam carpet underlay has excellent durability, thermal insulation, luxurious underfoot cushioning and exceptional resilience which performs really well under pressure retaining the ability spring back thus protecting the carpet and extending its lifespan by 40%. Durable – SpringBack Gold is hardwearing and won’t react to everyday household cleaners. The SpringBack Gold carpet underlay is guaranteed for the lifetime of the carpet with a 100% recyclable polyurethane foam. 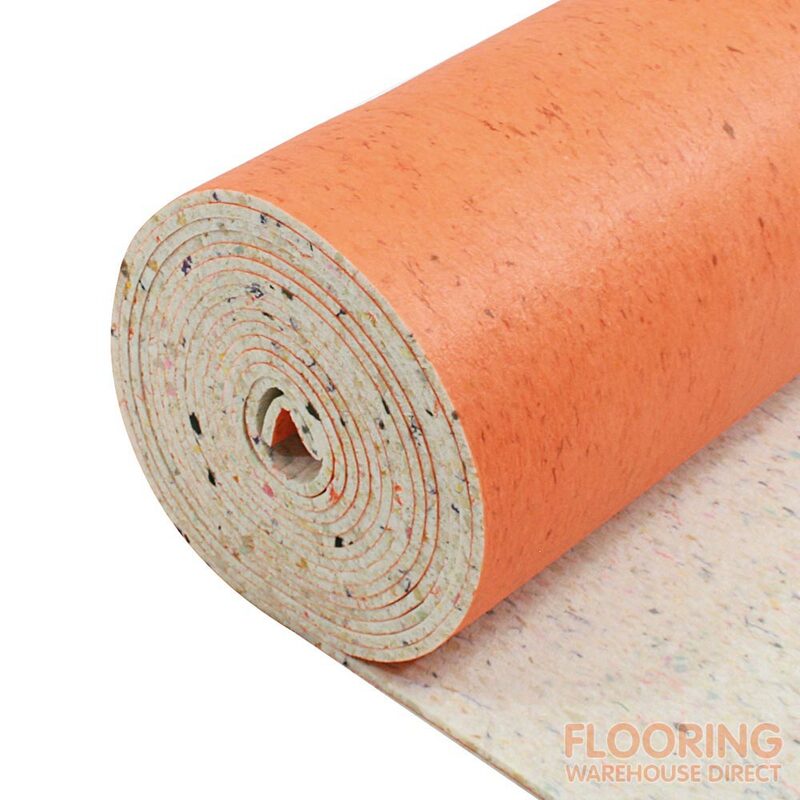 This impact sound reducing carpet underlay is designed to be durable, long-lasting and cushioning, whilst offering substantial under-foot comfort. The underlay is ideal for domestic settings which require reduction of impact sound travelling to rooms below, in addition to quick compression recovery for continuous support.